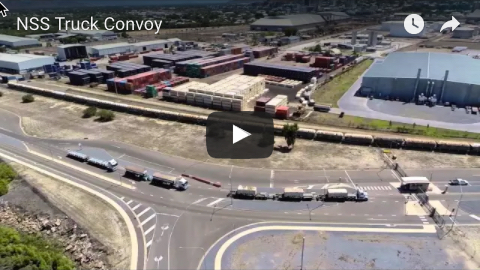 The first roll-on roll-off (RORO) ship to berth at Port of Mackay arrived last week, with four giant Caterpillar 794AC mining trucks amongst the 18 MAFI trailers on board. NSS stevedored the vessel, which delivered 18 MAFI trailers and 68 static pieces, which were discharged with forklifts. 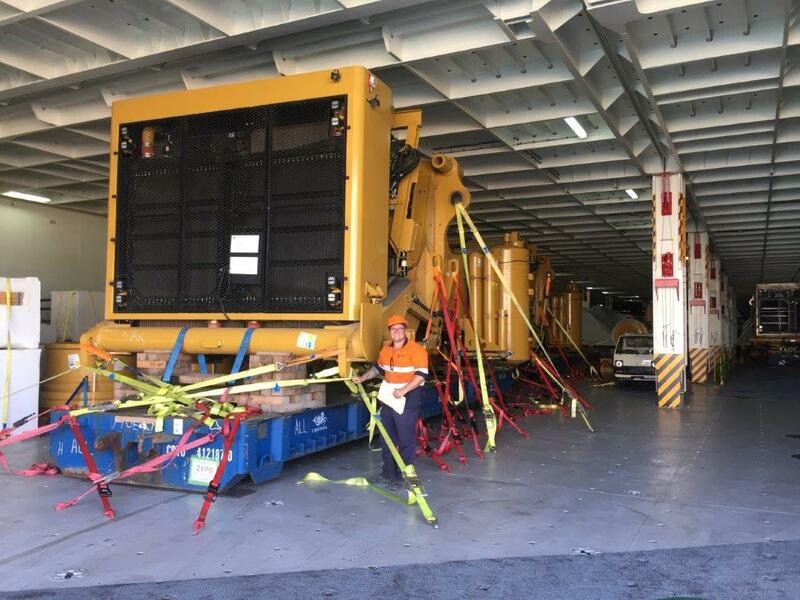 NSS mobilised specialised handling equipment from its Townsville headquarters to complete the work. NSS operations manager Damien Scott said the groundbreaking shipment was exciting for NSS. “NSS is a leader in regional Queensland, and we are proud to be involved in this momentous occasion," Mr Scott said. "It’s the result of a lot of hard work between all parties involved. NQBP’s Trade Development team had been working for two years to secure this shipment, and to see a successful first call is satisfying, and will provide confidence to logistics firms that Mackay is a viable option for RORO cargoes”. 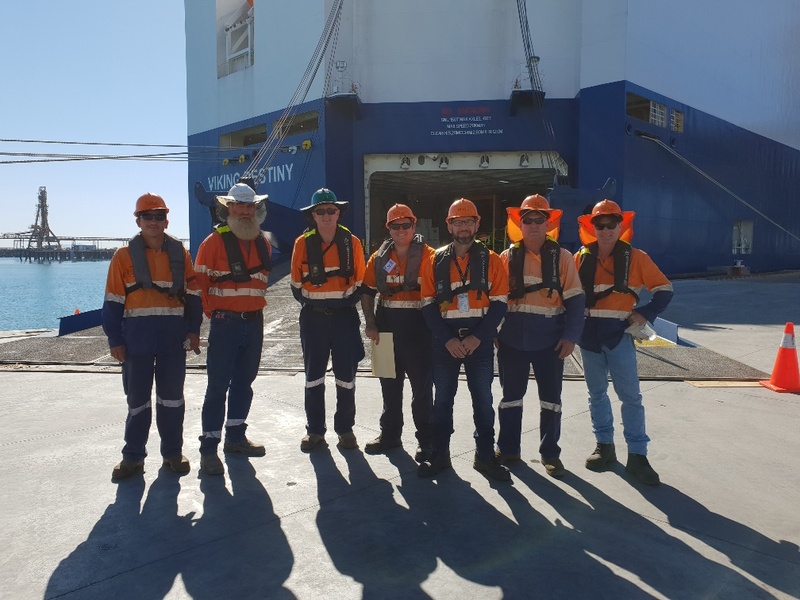 Norwegian-based shipping company Hoegh Autoliners, who operate the RORO vessel Viking Destiny that delivered the first Mackay cargo, were impressed with NSS’ capability and seamless operation. This successful project now opens up opportunities to expand their routes into the region. The Cat 794AC trucks were shipped into Australia by Hastings Deering from the United States, bound for the Bowen Basin. 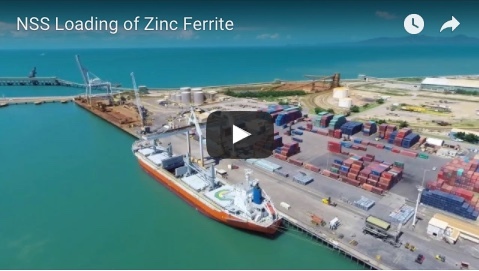 Hastings Deering general manager mining sales Jason Smith said the delivery represented an important change in the heavy logistics supply chain traditionally employed for such cargoes. “Historically, this kind of machinery has had to be brought into Australia via other ports and transported large distances on the roads,” Mr Smith said.